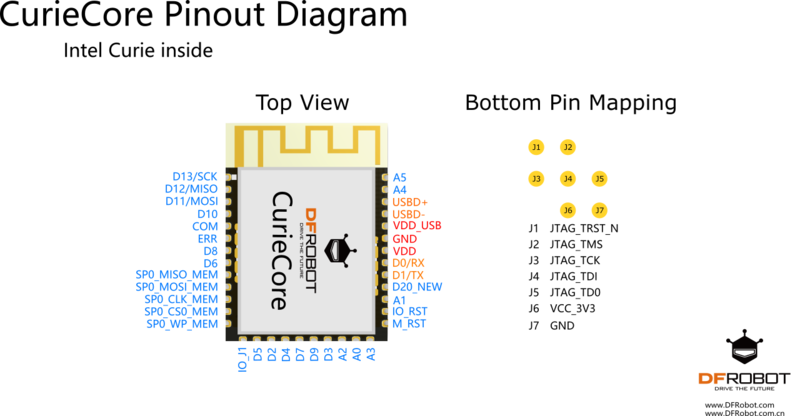 CurieCore intel® Curie Neuron Module is probably the last publicly released Intel Curie-based developer product on the market. CurieCore was born for professional developers and players based on Curie's product development. We think Intel Curie is still a very good product, the core lies in its built-in 128 neuron nodes for embedded and lightweight sensor nodes to bring a new smart and imaginary space! It integrates onboard Bluetooth 4.0, 32Mhz Quark processor and 6-Axis accelerometer sensor, which make it become the most ‘smart’ chip among the same size modules. 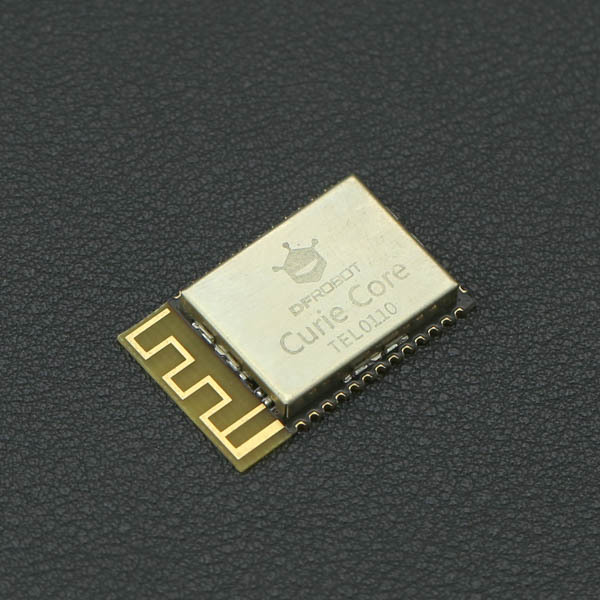 We believe that CurieCore is the smallest Curie module on the market. The minimize size design with onboard antenna make it suitable for wearable, robotic and Maker projects with sufficient processing performance. CurieCore is based on Genuino/Arduino 101 bootloader, Arduino.CC provides some Troubleshooting about this board, you can visit this Link for some common question. For any questions, advice or cool ideas to share, please visit the DFRobot Forum. 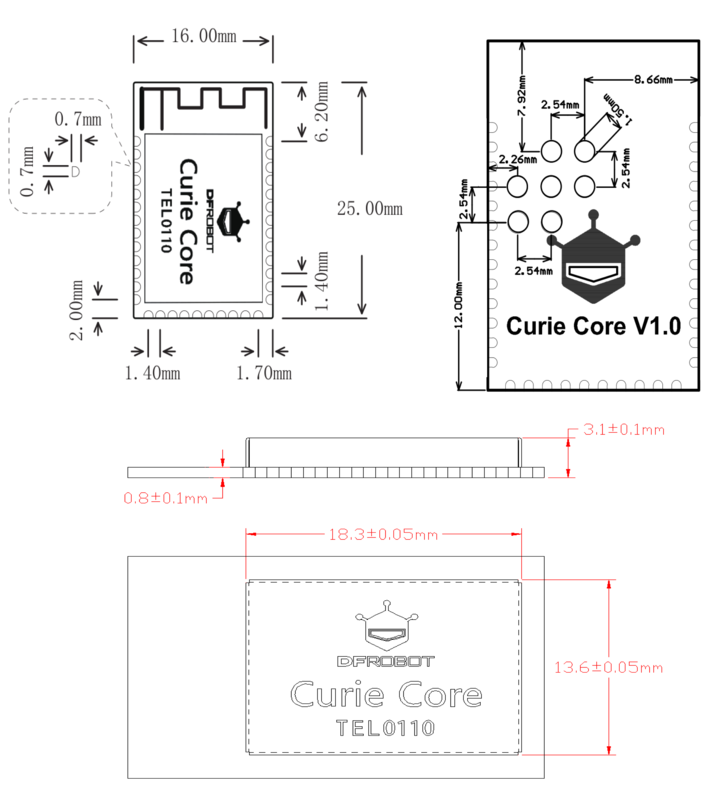 Get The Product CurieCore intel® Curie Neuron Module or DFRobot Distributor.